Yay! 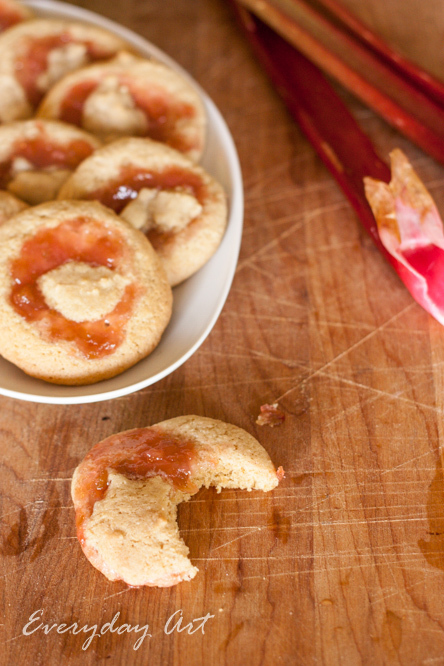 Another delicious rhubarb recipe! If you are a regular over here at Everyday Art, then you are probably starting to notice that I really like rhubarb! I really like it, and I have a plethora of it, so I am always having fun trying out new recipes with it. These cookies were SO soft...maybe a bit too soft honestly--you'd want to make sure and cook them completely and then not store them in a sealed container or they'd just go mushy. BUT if you did fully cook, even slightly over cook them, then they were fabulous. 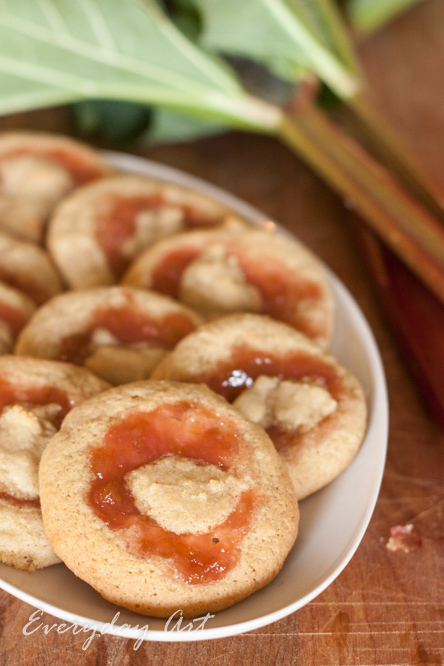 So soft and delicate--really rich, eggy, buttery dough, with a nice tangy rhubarb kick! Too fun. We made a BIG batch and shared it with neighbors in our new neighborhood. Gotta share the love, right? I got the recipe from Taste of Home. 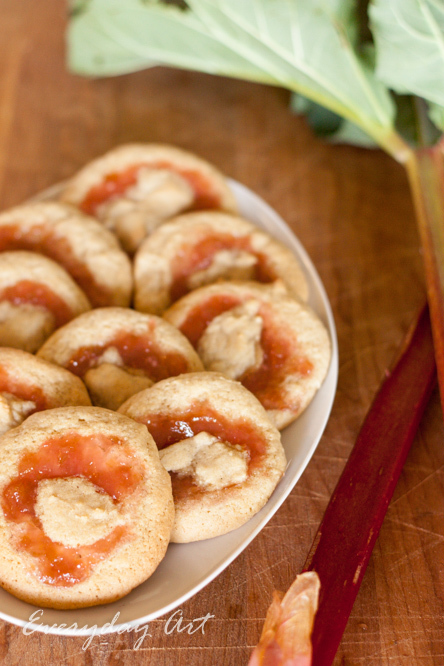 Hope you enjoy some rhubarb-filled cookies!